A revamped tutorial has just been switched on. The fundamental principles highlighted in the tutorial have not been significantly changed but the process should now be more streamlined. Additionally, new users are now encouraged to complete at least the first three steps of the tutorial (instead of four). A fresh new look should help everyone to concentrate on the important messages and familiarise themselves with KeeFox more quickly. What do you think? How could it be improved in future? Are there any concepts missing that should be added into the tutorial? 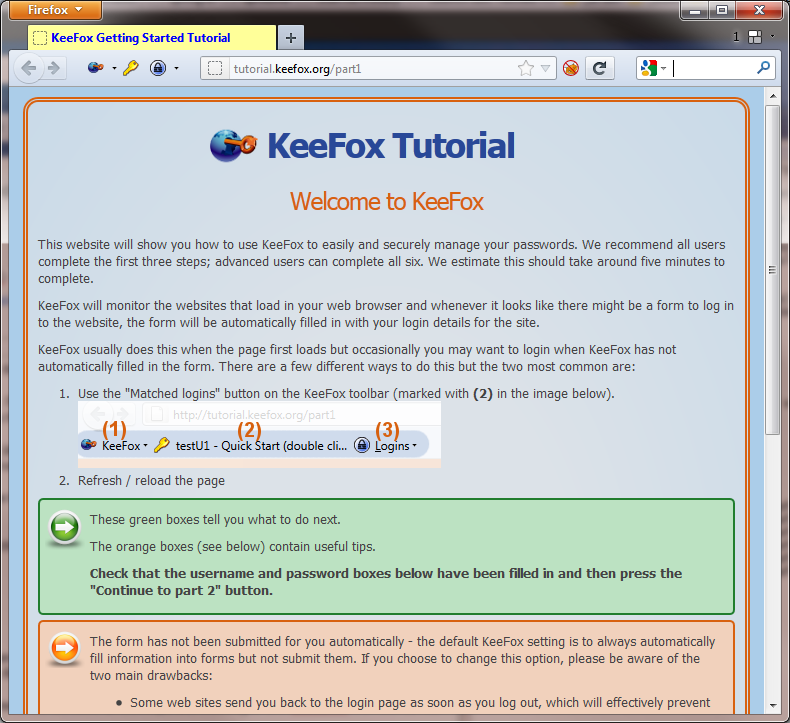 A link to the tutorial is displayed after Keefox is successfully set up and can also be found in the KeeFox main menu (help / getting started).